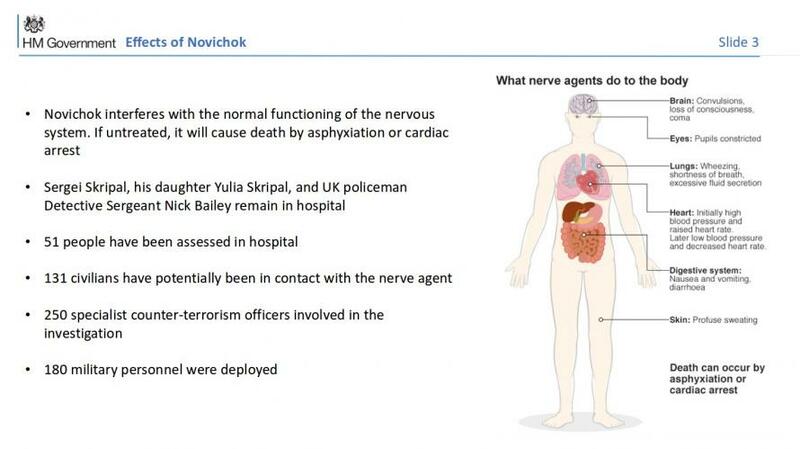 The UK government’s presentation on the Salisbury incident, which was repeatedly cited in recent days as an “ultimate proof” of Russia’s involvement into Skripal’s assassination attempt, was made public earlier today. I have now been sent the vital information that in late 2016, Iranian scientists set out to study whether novichoks really could be produced from commercially available ingredients. Iran succeeded in synthesising a number of novichoks. Iran did this in full cooperation with the OPCW and immediately reported the results to the OPCW so they could be added to the chemical weapons database. This makes complete nonsense of the Theresa May’s “of a type developed by Russia” line, used to parliament and the UN Security Council. 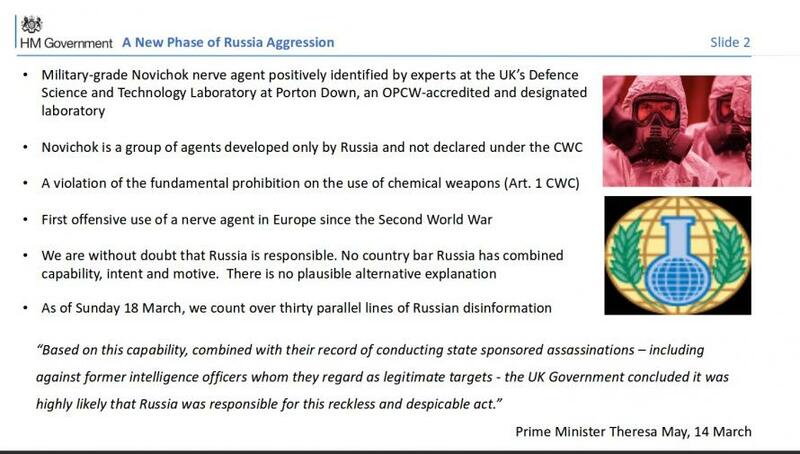 This explains why Porton Down has refused to cave in to governmental pressure to say the nerve agent was Russian. If Iran can make a novichok, so can a significant number of states. The fourth version is similar, but this time the anti-Putinists are not home-grown but outsiders. Here the list of people who would allegedly benefit by discrediting Russia is a long one. If Novichok or its formula has proliferated, then it would not be that hard to organise some sort of false flag operation. The list of countries mentioned in social media in this respect is a long one. Obviously, Ukraine comes top of the list, not only because of motivation, but also because of possible access to the material, as a post-Soviet state with historical links to the Russian chemical weapons programme. Israel has a large chemical weapon inventory and is not a party to the OPCW; but it has no motivation for such an attack (unless some inadvertent leak occurred here). Another version is that the UK itself provoked the incident, as a way of elevating its status as a country ‘punching above its weight’. The British chemical weapons establishment, Porton Down, is only 12 kilometres from Salisbury. While superficially plausible, there is absolutely no evidence that this is a credible version, and should be discounted. The fifth version is a rather more elaborate development of the previous point. 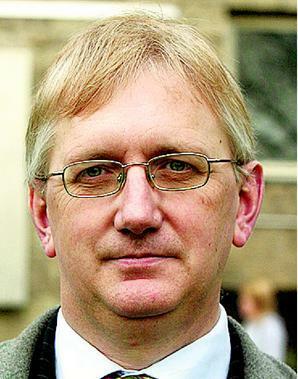 There is circumstantial evidence, a version outlined by the Daily Telegraph, that Skripal may have had a hand in devising Christopher Steele’s ‘Trump Dossier’. 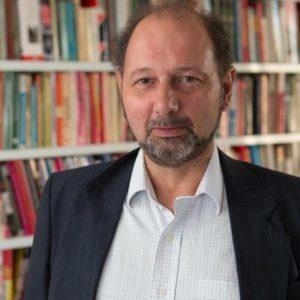 The British agent who originally recruited Skripal, Pablo Miller, lives in Salisbury, and also has connections with Orbis International, Steele’s agency in London. In this version, Skripal is still working in one way or another with MI6, and fed stories to Steele, who then intervenes massively in US politics, effectively preventing the much-desired rapprochement between Trump and Putin. Deep anger at the malevolent results of the Steele and British intervention in international politics and US domestic affairs prompts a revenge killing, with the demonstration effect achieved by using such a bizarre assassination weapon. The sixth version is the involvement of certain criminal elements, who for reasons best known to themselves were smuggling the material, and released it by accident. In this version, the Skripals are the accidental and not intended victims. 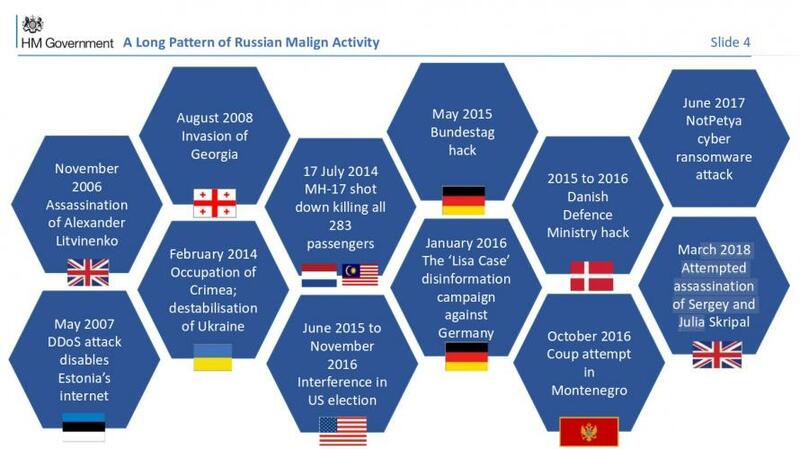 There are various elaborations of this version, including the activities of anti-Putin mobsters. One may add a seventh version here, in which Islamic State or some other Islamist group seeks to provoke turmoil in Europe. Do you wish to know our refutations of any other substantial “hard evidence” against Russia in the UK paper? Sorry, but that is all. The primitive information warriors in what used to be the heart of a brilliant empire, today are incapable of designing an even slightly plausible (they love this word, right?) document on a super-politicized case. Have you totally lost your minds, ladies & gentlemen from the Downing Street?